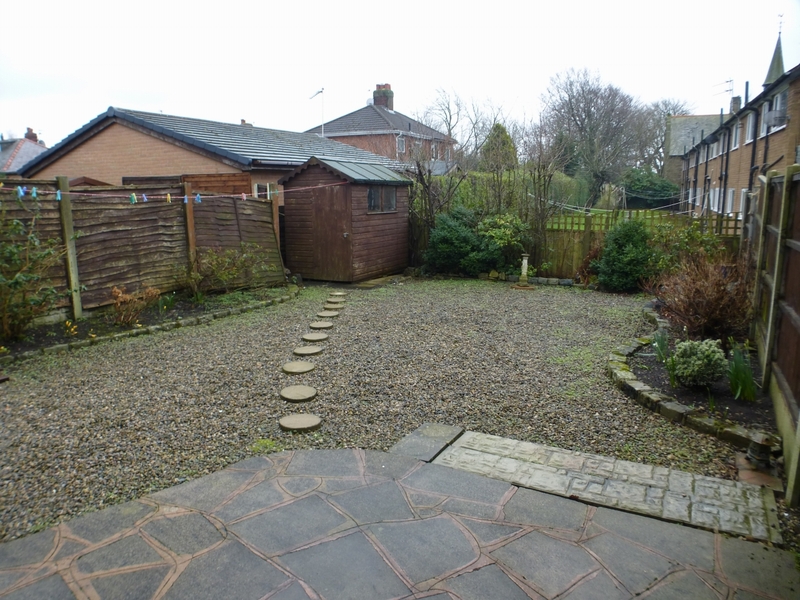 Harbour Properties are delighted to advertise for sale this modern 3 Bed semi-detached house available for sale in sought after village of Warton. Great location in quiet cul-de-sac, with a short walk to BAe Systems, local shops and schools. The property briefly comprises a entrance hallway, good size lounge area, modern fitted kitchen and open plan diner. Upstairs has two double bedrooms, a single room and a modern tiled bathroom. The property also boasts a good size rear garden, front garden area, driveway, double glazing and gas central heating throughout. The property is leasehold and is not in a chain. The leasehold is currently £50 per year, and is a 999 year lease, which started on 01/01/1988. Entrance hall leading to lounge and upstairs. Good sized lounge with carpet, fire surround, and large window to the front of the property. Modern fitted kitchen with grey vinyl and fitted beech wall and base units including oven, hob and extractor. There also under stairs storage and a carpeted dining area with double patio doors. Modern fitted, tiled bathroom including toilet, shower and basin in white vanity unit. Good sized double master bedroom to the rear of the property. Good sized 2nd double bedroom to the front of the proeprty. To the front of the property is a small easy to maintain garden and a long driveway. To the rear is a good sized garden with a shed. Although, at Harbour Properties, we make our advertisements as accurate as we can, complete correctness cannot be guaranteed and any information provided, including measurements and any leasehold fees, should be used as a guideline only. All details provided in this advert should be excluded from any contract. Please note no appliances, electrics, drains, plumbing, heating or anything else have been tested by Harbour Properties. All purchasers are recommended to carry out their own investigations before completing a purchase.